When Amherst resident Mark Lisiecki told us about his 1985 Chevy Camaro sport coupe, he proudly pointed out that it’s not a fully-loaded Z28 or IROC-Z. Chevy advertised the Z28 as An American Performance Legend. The IROC-Z was touted at The Ultimate Z28 (zero-to-60 in 7.2 seconds). Also in the lineup was the Berlinetta, or Poetry in Motion as Chevy described the more elegantly-equipped Camaro. 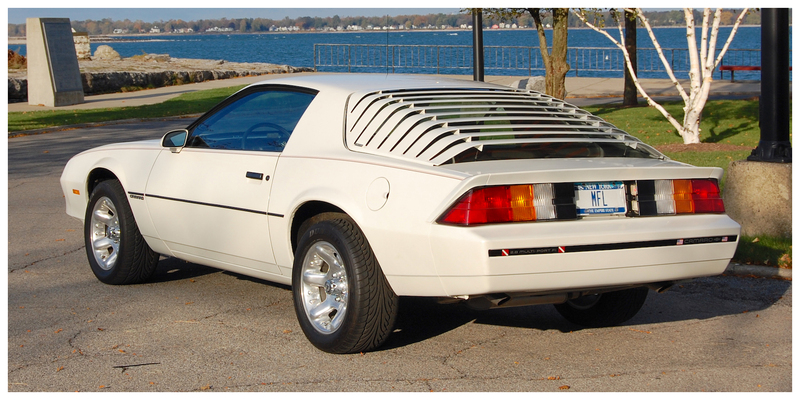 Lisiecki’s car, while no stripper, was the entry level model in 1985; and the model which could have been advertised as The Camaro Most Camaro Buyers Buy. Under the hood it has what he describes as “…a heavily warmed-over 2.8L V-6 with an enhanced power chip.” He tells us that the car is all original (the wheels and tires are in storage) — and he’d know, as he’s the original owner. With an odometer showing just a few clicks over 38k, this one’s a real rarity for a life-long WNY ride... even a RealRide!